Chase hears voices in his head… and happy Shades is Happy! I want see Kamen Rider OOO review . we need to get Judd Lynn on PR so the black magic that keep everyone else young can do the same for him. Episode 6 The Tooth Hurts. Well as title suggest and moster goes around giving people tooth decay, makes you want to cringe your teeth. And we get more character development for Riley as he’s improving his sword technique. I like how they focus on the friendship between Riley and Chase and how different they are. Not much more I can say, this series just gets better by every episode. Now for a question. Since bandi has released almost every MMPR toy from the legacy collection there is one thing that I’ve notice. How come they have yet to released a legacy communicator? I mean it is one of the most iconic iteams of the franchise so why havn’t they got to that yet? Anyways thanks as aways I’ll see ya next time. So in this episode was really good as always and using the Sentai Plots and coming up with their own plots. I don’t remember this episode in Kyougers to well because I have been going thought every single episode of the series and the only thing I remember that was important in that episode was ankadon appearing. So the hunt of the gold entegem has started and it felt more like a “BIG LIP CARAGATOR MOMENT” they could have not said anything about the gem and nothing would have change with the episode. But it is nice that they are look for the energem. Chase and Riley having different views on the monster and the thought about it was okay and I did like they were doing “Research” on what was giving the people the tooth pains was very different from what other Power Ranger in this era do. Keeper once again you give great advice and keep on doing it. I just love that we can have these moment over Samurai or Megaforce. It was cool how Keeper made that that shot with the ball. One more thing, it was wierd when the monster change it form for no reason? It make sense in the sentai but not here. So I give this episode five purple glowing cakes in the mouths out of five. Are you excited for the Avengers Age of Ultron? 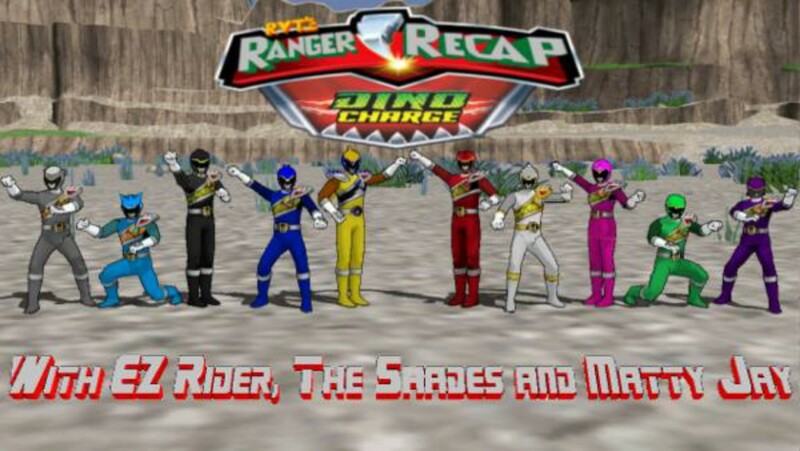 Who is the best dinosaur sentai team? Power Rangers on skateboards! Forgot to say that last time! Everyone else has said everything about this episode so I’m not going to bother. I’m keeping this on short cause I have to spend my time making let’s play videos, and need to seriously catch up on them. Anyway, have to go. Making those videos… And torturing Sentai Purists with Good Power Rangers shows. Until the next episode, I APPROVE OF THIS MESSAGE!